Mrs. Jodi Lynn Jenkins, 57, of Bardstown, KY, died on May 30, 2018 from injuries sustained in an automobile accident. Mrs. Jenkins was a native of Kuwait and the daughter of the late Roy and Helen Jenkins. 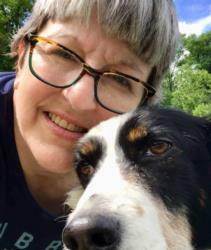 She was a self-employed pet sitter and animal rescuer. She is survived by a host of close friends.